REDMOND, Wash.--(BUSINESS WIRE)-- The close of 2010 produced two sales milestones for Nintendo in the United States. According to Nintendo’s internal sales figures, the Nintendo DS™ family of portable video game systems has sold more than 47 million in the United States since the original model launched in November 2004. That tally makes Nintendo DS the nation’s best-selling video game system of all time. 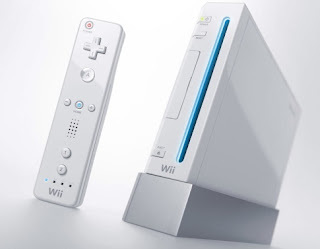 For the second major milestone of 2010, Nintendo’s internal figures show that the Wii™ home console marked its third consecutive calendar year with U.S. sales of more than 7 million – a feat never before accomplished in the history of video games by a home console. To date, the Wii system has sold more than 34 million in the United States alone. Nintendo is set to release its new Nintendo 3DS™ hand-held system in the United States in March. The portable system lets players see 3D content – without the need for special glasses. More details about the system will be announced in the future. Remember that Wii features parental controls that let adults manage the content their children can access. For more information about this and other features, visit http://wii.com. For more information about Nintendo, visit http://www.nintendo.com. It's nice that Nintendo has done so well, but 2011 will be a really telling year as to which direction they will be taking with the Wii. Will they upgrade the home console, announce a new one, or just leave the Wii as is? Have a wonderful weekend guys. Have you been getting caught up on all your post holiday games? I've still got a few to play but I'm getting there. Have fun! It's mostly happening with the older Xbox 360 models, which is predisposed to getting RROD's due to how ineffective the model disperses heat. The RROD's do indeed occur when owners are using Kinect, but if the Xbox 360 uses a lot of power, it is bound to get the error. Besides, Kinect was mostly designed for the slim models. I think with 3DS having 3D visuals they could do a Firmware upgrade on wii to support 576p as this still keeps it from being a HD console but can compete with Graphics at 720p more easily i think Galaxy3/Pikimin3/Conduit3 in 576p would look stunning its easily done and would even make devs have to try harder with visuals as they would stand out more if they didnt. Wii's max resolution is 854x480p 640x480 is 480i,854x480p is ED/HD same as 576p,SD resolution is 480i/576i,Enhanced definition is what i play Galaxy2/MH3/DKCR/Goldeneye/and all my wii games and they are sharper in doing so but 576p firmware upgrade would be nice. infact the Wii SDK2.1 indicates wii can do 720p and is blocked by firmware not restricted by hardware so your wrong and wii supports SD/ED resolutions as ED was once considered HD ie why on wii game boxes it says ED/HD plus SDK2.1 indicates a 1944 million pixel fillrate 1.944 billion fillrate,3DS has 1.6 billion to render games twice makes it 800 million fillrate 4 each screen almost twice ps2 4 each screen as ps2 was 522million pixel fillrate per sec,Cube 622 million,Xbox1 588 million and wii has 2 to 4 times RAM of all them consoles except 3DS and Xbox 1 did 720p the Wii can do it in its sleep. There are some real technical forums out there that discuss whether 720p is possible. Considering we still don't know the official specs/full capabilities I thinks it is possible. Lastly, the Wii IS 2-3x more powerful than Gamecube, so you do the math. There may even be evidence out there that the Wii chipset has an integrated physics chip! I think 720p is possible.